Over the last week we’ve finally had a decent dose of rain. It’s not enough — we need a lot more — but I won’t complain. 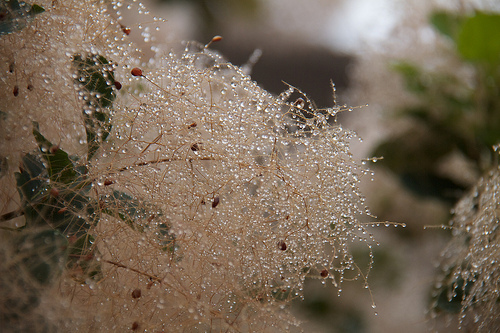 Today was a very misty one, and everything is pleasantly coated with little drops of dew. It’s incredibly sticky outside now though, because while we’ve gotten some rain, the heat is still hanging around. Not like it was last week though. I’ll take the rain and a little humidity over 38 degrees C and a lot of humidity any day of the week. I’m just pleased that my rain barrels have refilled again. I’m not sure what the official rainless stretch was but it was easily a month if not more. Previous Post Introducing: Silverplate Press!